A very charming French Cream Bone Pin Cushion that dates to the mid 1800's. 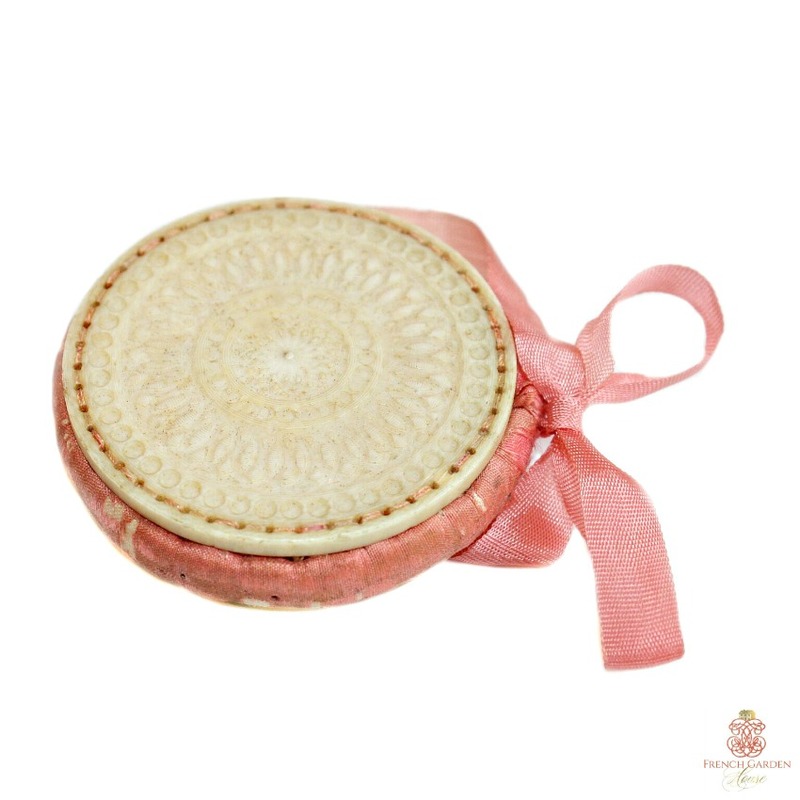 This very collectable and usable sewing antique has two finely carved French Bone plates, which feature a shaped circular central design with intricate bands of reeding and ornate patterns. Both plates are joined together with the palest pink - apricot silk padded insert for the precious pins, the top retains the original silk ribbon bow. Little luxuries like this were part of every society lady's sewing basket, as wealthy women were meant to be able to execute fine needlework in their leisure time. Often, pin keeps like this were a beloved gift from a suitor or husband for holidays or birthdays. Heirloom sewing pieces like this were the only thing women could bequeath to a daughter or sister or friend, they were especially precious. Condition as shown, a beautiful addition to display with your collection of sewing antiques.